The last month or so we have really noticed a bromance going on between some of the Toronto Blue Jays players and the Toronto Maple Leafs. In this day of social media it's a lot easier for people to see them interacting with each other on Twitter which happens frequently throughout the day. From Colby Armstrong and Jose Bautista talking about steakhouses to Tyler Bozak calling Brett Lawrie a stud, these guys are straight up man crushing. Heck, there's even a sprinkle of BizNasty love in there. 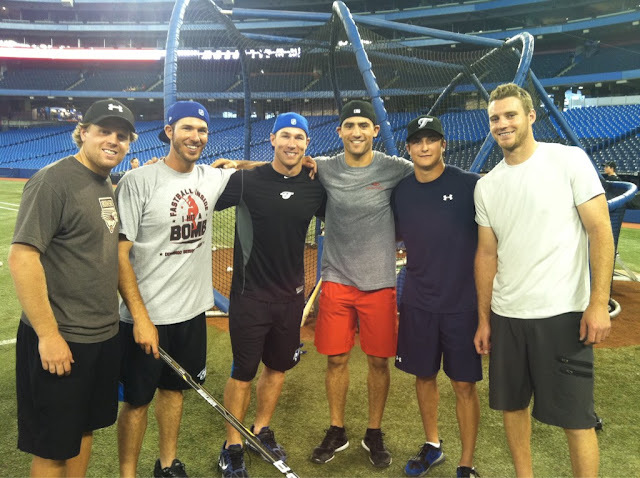 The boys started to become a lot closer when the Blue Jays invited Colby Armstrong, Phil Kessel, Tyler Bozak and some other NHLers to come out for some batting practice. It's great to see Colby Armstrong healthy again and lining a pitch back at the pitcher after an inside pitch. Also worth noting from the above video is the presence of a person we did not expect to see in Toronto again. Matt Stajan. It's nice to see Toronto's athletes getting along and being buddies. The boys are so close they even have a nickname for their group called The Unit - that is a pretty serious bromance going on when you have a nickname. The Unit should be fun to follow during the NHL season as they are all pretty big characters, and it'll be interesting to see which Leaf will top J.P Arencibia's hockey interview after his recent walk off hit for the win. J.P Arencibia is awesome. Loving the bromance going on. They all have something in common... not making the playoffs! Love this bromance. 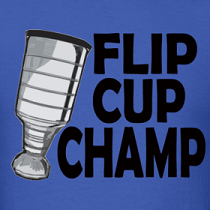 I'm sure one of the Leafs boys will come out for a post-game interview with a baseball bat. Wouldn't be surprised. Lol. My money's on Bozie. Is that Stalberg in the grey shorts with thee black stripe? Being a female fan I just want to point out that I love how hot JP is:) But he is also a great player. I believe that he has the single season record for most home runs by a Blue Jay catcher. JP is awesome. It seems the city has a good group of talented young sport stars. Exciting times in Toronto. Well let's hope we get to see some of the Blue Jays out at the Leafs games this year. I have a feeling most of them will be going back home and can't stand the Canadian winters.